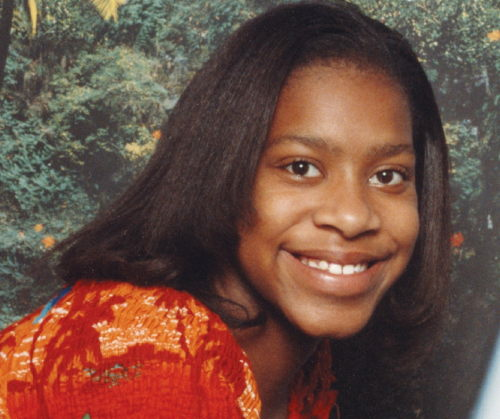 When a congenital heart condition claimed the life of 14-year-old Natalie LaShay Teague in 2006, her bereaved family wanted to find a special way to honor her memory. “We were best buddies,” says Natalie’s grandfather, Sam Abram, retired superintendent of Muncie Community Schools Corp. “She often rode with me when I drove to Louisville or Fort Wayne to pick up the other grandchildren.” Because she was the oldest, she “was like a mother hen” to her younger cousins. Her death was a shock to her parents, her classmates and her friends at Union Missionary Baptist Church where she was an active member. Her popularity was evident by the hundreds of people who expressed their condolences. “We’ll never forget the outpouring of love,” says Abram. Realizing the impact that Natalie had had on so many people prompted Abram to contact The Community Foundation to discuss options for a memorial fund that might benefit causes that Natalie valued. “She had so many goals and wanted to help other youngsters understand that they could have the same kind of dreams that she had for the future,” says Abram. "…I hope it might motivate adults to help those dreams come true." The opportunity to start a donor advised fund in Natalie’s name appealed to the family. Friends and family could help it grow and use their gifts as a way of remembering Natalie. The family now can recommend grants to benefit nonprofit organizations in keeping with Natalie’s interests.